I know this might sound a bit daft, but I was so impressed the first time I flew in an aeroplane and realized that above the thick grey clouds the sun was shining! So it is with moi – currently a thick cloud of sadness about Goldfinch is hovering…but I promise you the sunshine is still there. Thank the person who nominated you and provide a link back to their blog so others can find them – THANK YOU CADIE! Next summer I will turn 2,179 years old. Only a baby really! I have to say for my age, I look amazing! I think it’s due to the amazing genes from my parents, being vegetarian, and doing a jiggy kind of work-out (all of my own design) each afternoon. I am very glad you asked! I have bought a few books that were written by some of my favourite bloggers during the past few months. I think it is a great way to support the talented writers amongst the blogging community. One of my favourites is Teresa Grabs aka The Haunted Wordsmith who has recently published a novel named “Reflected Echo”. I have enjoyed her previous books which were full of shorter flash fiction pieces. But, it is great to be reading Teresa’s full length story. What is your biggest turn off? I am guessing you mean with regards to men? A couple of my friends like the BBC show “The Apprentice”. When I have watched it with them, I see exactly the kind of man that would make me cringe. The behaviour in that show is horrid to witness. It’s like watching the a nightmare result of “the education system”, oh yes, that’s the system I rejected so that I could become a volunteer. The contestants are all: money money money…profit profit profit! It makes me feel sick. 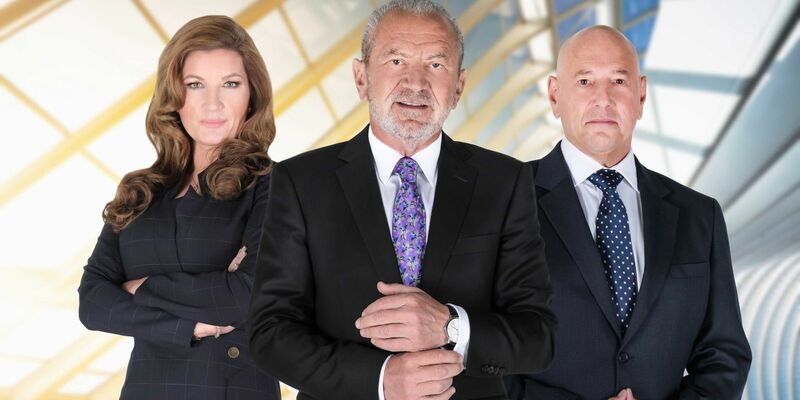 I can’t bear a man who wants to be Sir Alan Sugar’s next business partner and talks about how brilliant he is (himself, not Sir Alan Sugar) and talks about wasting money on parties and flash cars. A man who tells me how expensive his watch is and how much it cost to have his suits made and his luxury holidays in exclusive holiday resorts. It makes me feel sick, because I have spent most of my life working on an unpaid basis for charities. I like someone with a good work ethic, but not to enrich himself and win glory for himself. The kind of man that wastes money on bling and pampering himself is the complete polar opposite to the kind of man I would adore and respect. I love humble, honest and hard-working – and down to earth. I love a man who is kind and mild. A man who is reliable and responsible and is willing to admit his mistakes and learn from them. I love a man who is noble and gregarious. Oh – I have just described my Dad! Which do you prefer: chocolate or fruit flavoured candies? However I do prefer caramel to chocolate – everyone knew that though didn’t they??? I always feel a bit bad picking favourites. I love my family so much – every single member! Outside of my family, Goldfinch is my favourite person on the planet! But I have some very wonderful and inspirational friends. As I said, it is really hard to pick favourites! What is your favourite blog post that you’ve written and why? Simply because I am not very good at poetry. I wrote this poem twenty years ago and I have been fond of it ever since. It expressed something deep inside of me that needed to escape. I am so thrilled that I expressed it in the form of a poem! I don’t think I will ever be able to express my feelings in poetry again like that. So I am glad I did it once. Hmm. A question that stirs my thoughts I will admit. I want to go back to my home and career. 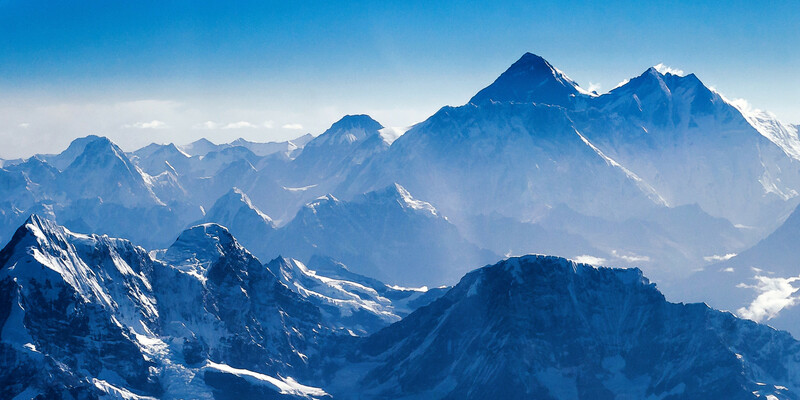 But that goal seems like climbing Mount Everest. Well, climbing it for the second time, because it took me years to qualify originally. I need to have virtually perfect health to qualify to be an international volunteer again. They have been very patient with me. But my head injuries are still causing me problems. But other than that – I do not have any goal. There is nothing else I want for myself. There are lots of things I would want for other people. But for myself, I don’t have a wish-list. I don’t dwell on the thought…but I don’t take it for granted that I will be alive in ten years time. I don’t have an agenda. I just try to make sure everyday counts. I live my life the way I would if I was going to live forever. I try to make sure I contribute to what I want for this earth and my fellow human family. Be kind, be good, be loving. Don’t have any regrets and don’t have any enemies (that’s why I need to sort things out with Jack). I love variety. I can never pick one favourite. I love food. I have been called a foodie by many of my friends, but I am not sure I am deserving of that epitaph. Probably, my “go-to” meal of sure pleasure is a vegetarian lasagne or cannelloni – with salad and garlic bread. I enjoy a bit of everything…sometimes traditional dishes, from a vegetarian roast dinner to a baked potato. I also love Persian, Italian, Mexican, Greek, Thai dishes…I love something completely new to my taste-buds. One of my favourite discoveries from Ghana was peanut butter soup – wow! And I can’t resist a yummy pudding! I have just had to google “Myers-Briggs” because I was not sure what it was. I have no idea. Looking at the descriptions…I think I might possibly be ESFJ or ESFP??? The description for both sound familiar. I do remember vaguely a friend getting me to answer a long list of questions, and after totting up the results, she told me I am an entertainer…crossed with something else? 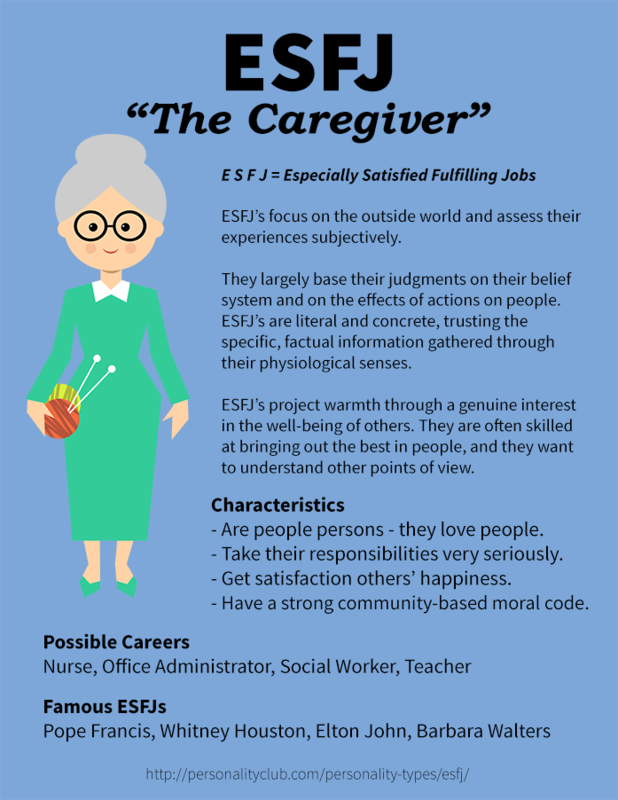 The description of an ESFJ here is interesting…I will say this, I don’t feel any kinship to the Pope, Whitney, Elton or Barbara Walters! Yikes! But I have had all the jobs listed. The characteristics are true of me too. 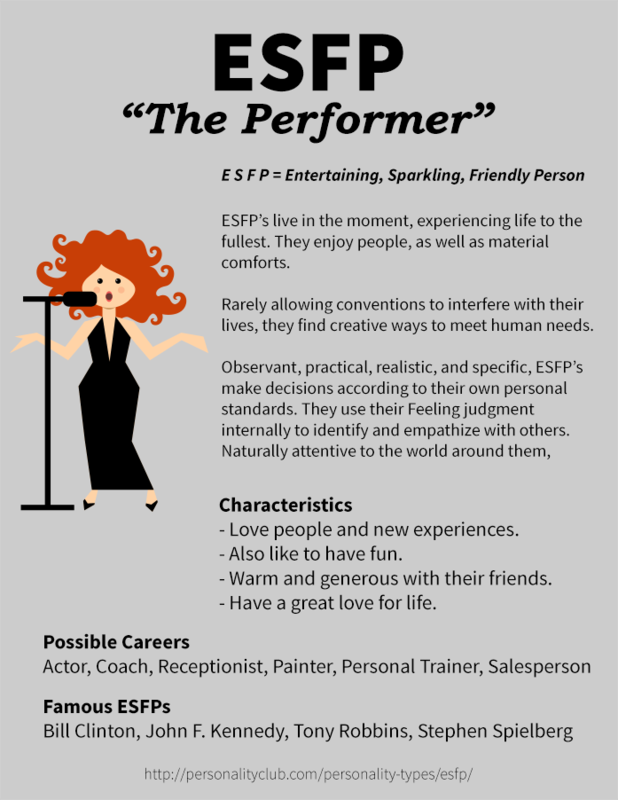 But looking at the description of an ESPF, there are many things that tick the “me” boxes in this description also. I think the big difference is the rules thing. I don’t mind rules. I don’t mind an established set of values, standards, ethics. I think without rules, things get really crazy, with everyone setting their own standards. It is a big security factor for me. Hmm…I think I am one of the above, but I am not sure which. On other personality tests I have done over the years, I am always on the scale around helping or giving to other people / entertaining other people. Apparently, I like to make sure everyone is alright, and I also tend to perform and make sure everyone is enjoying things along the way. I like to keep people happy. However, I am not necessarily a people-pleaser, because I stick to my principles and don’t follow the crowd. I stay within the realms of what I feel is right and avoid offending people. After all, I love people. I know I am not a leader, I am a supporter. If someone has an idea, I am good at working hard to make it happen. Goldfinch says I am a bear – as in a worker. I am also a very big communicator – probably too much. I like feedback – I thrive on someone saying “Well done! Good girl!” and when my conscience tells me that, I glow with joy! How many pets do you have, what are they and what are their names? In my current tenancy agreement, I am not allowed any pets. However, the lady upstairs has goldfish and I feed them whenever she is away. The only little critter who is allowed in my little nest is my glass frog. When I grew up, we had cats, and over the years I have cared for lots of animals for clients – dogs, ponies, chickens, sheep, cows, birds, rabbits, guinea pigs, hamsters. How do you plan what you will write about? The ideas come rather randomly. But they are normally based on people and events in my life. I am not very good at flash fiction or anything creative like a poem. Whenever I have an idea for a post, I usually start it and then I work on it little by little when I have chance. Some posts I try to complete quickly as they are from writing prompts. But others might linger in my drafts folder for some time before I manage to bulk them out and polish them over. 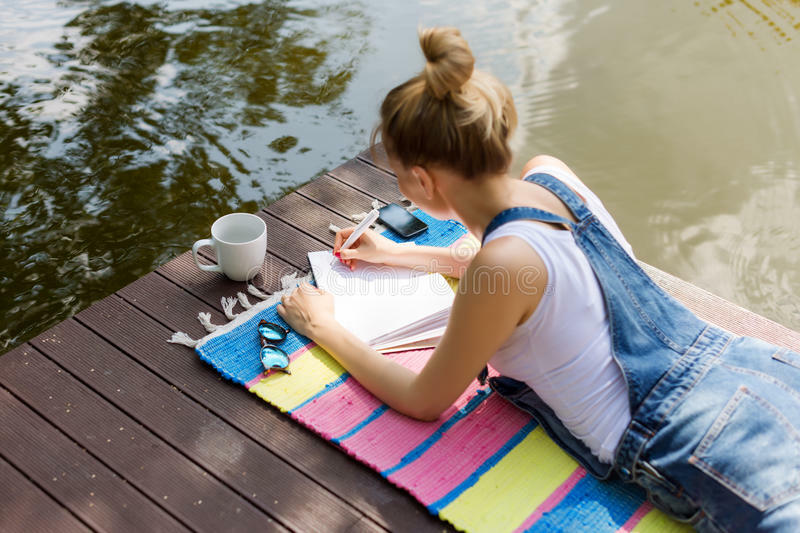 I have to work long hours on Wednesday, Thursday and Friday, so I have started to schedule posts for those days in advance, and on those days I just try to read other blogger’s posts. At the moment I am writing a lot about Goldfinch – I think everyone understands why. In the future, I need to write more about Jack – as that is key to the theme of my site “CRUSHED Caramel”. I want to expand the “CUP OF TEA” series which is all about Jack. I want to arrange my site differently too so it is easier to find posts about Jack, posts about Goldfinch and then other subjects. I want to write a lot more about my family. There are many more special people I want to write about too. I want to write about my teenage sweetheart. I want to write more about the places I have travelled to: Ghana, Texas, France, Belgium, Romania, Germany, Turkey, Spain, Sweden and the experiences we had in those places. I also want to write more about more about England and Wales and especially life in London. I should be taking more photos and telling you more stories about the events I am going to and the projects I work on right here. I want to write more about what I think is really wonderful about life and this planet. Do you have any blogging achievements you are pleased with…or a particular post you are really proud of? What are your next door neighbours like? Do you get on with them? What is your favourite food “on toast”? Do you have any bad driving habits? 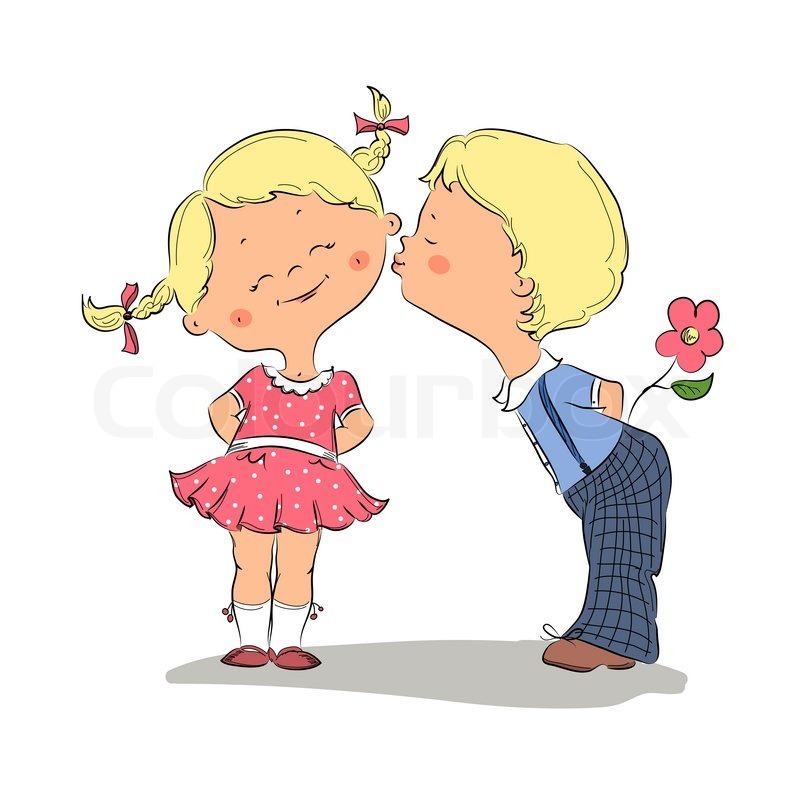 What’s the most romantic thing that someone has done for you? Have you ever been harassed at work? What kind of food / snacks would you take with you on a picnic? If you were a tourist in England, where would you like to visit? …I have been working on this all week. It was nice to finally see it up there! Congratulations! Great post and good to get to know you better. I loved reading your answers! I would love to read about your travels! Congratulations! Thank you also for nominating me. 😊 By the way, I am tagging you for a Q&A. I’ll send the link in a while. No worries! I’m also busy attending parties for this holiday season and I haven’t started the awards yet and I haven’t posted anything for this day. Congratulations! 🙂 You make being a vegetarian look very appealing. Those dishes look tasty! I enjoyed reading your post today. I must admit when I was a child being a vegetarian seemed harder because I was fed these strange tasting veggie burgers for years which I did not like, but nowadays there is so much delicious food available now. Living in London it is easy to find flavours from all over the world here.